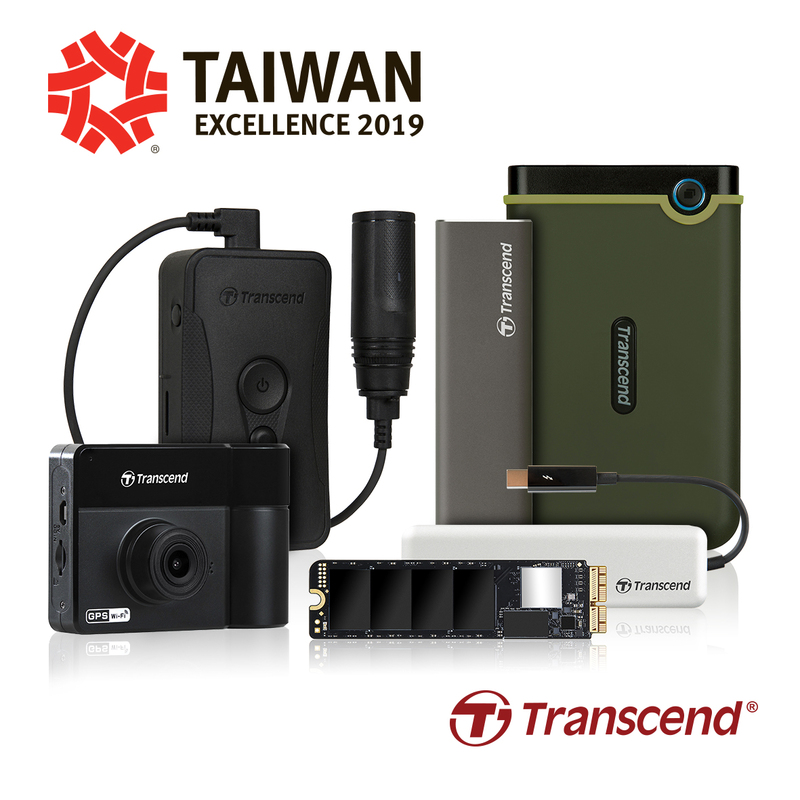 Transcend Information, Inc. (Transcend®), a worldwide leader in storage and multimedia products, is proud to announce that five of its state-of-the-art products have been awarded the 2019 Taiwan Excellence Award for their innovation. With industry-leading technical experience and expertise, Transcend has received the 15th consecutive year of Taiwan Excellence Awards. This year, the awarded products include the StoreJet® 25M3G hard drive, JetDrive™ 855 SSD upgrade kit for Mac®, StoreJet 600 portable SSD, DrivePro™ 550 dashcams, and DrivePro Body 60 body camera. The "2019 Taiwan Excellence Award" was organized by the Taiwan External Trade Development Council (TAITRA) commissioned by the Ministry of Economic Affairs (MOEA) of Taiwan. Taiwan Excellence winners represent the most revolutionary, high quality, and high value-added products made by Taiwanese companies. As a leading global storage brand, Transcend will continuously provide diverse storage solutions tailored to the needs of the consumer market and embedded applications. DrivePro 550 Dashcam features a dual lens camera and a large 160° viewing angle, thus the dashcam can simultaneously capture what is happening on the road and inside the vehicle. The DrivePro 550's front lens is equipped with a Sony image sensor for crystal-clear images; the rear lens camera has four infrared LEDs that turn on automatically in dim light. These and other features mean the DrivePro 550 offers optimum protection inside and outside of the vehicle.